MONDAY, Oct. 1, 2018 (HealthDay News) -- Can violent video games push some kids to act violently in real life? A new research review suggests the answer is "yes." The analysis combined the results of 24 past studies, involving more than 17,000 children and teenagers. Overall, researchers found, kids who played video games featuring fighting, attacks and killing were somewhat more likely than their peers to become more aggressive over time. The controversial findings are the latest entry into a long-standing debate over the real-world impact of video game violence. Over the years, some studies have found a connection between the games and kids' aggression, while others have not. The authors of the new review said their results show a "reliable" link. They also said they were able to address the main criticisms that have been leveled at such research in the past. "My characterization would be that the effects [of violent video games] were relatively small, but reliable -- and not inconsequential in their implications for aggressive behavior," said researcher Jay Hull, a professor of psychological and brain sciences at Dartmouth College in Hanover, N.H. 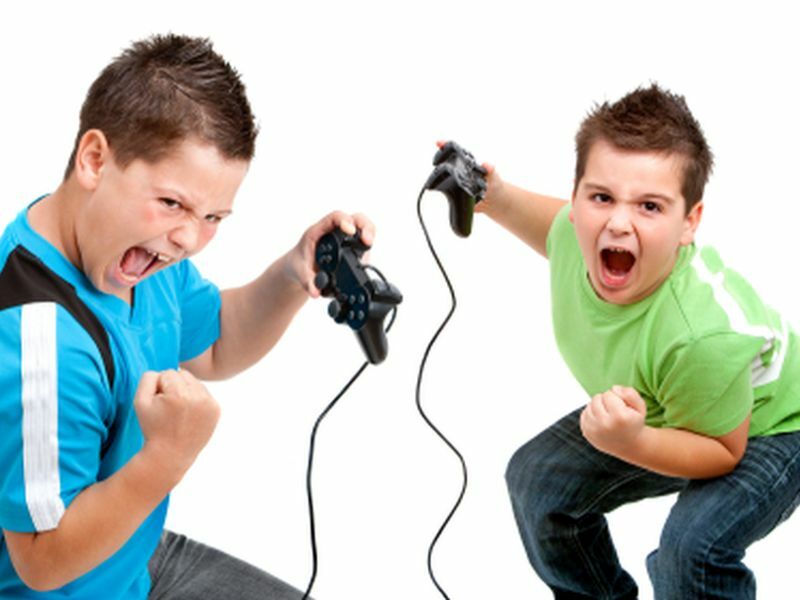 According to Hull's team, most researchers in the field believe there is a connection between video game violence and kids' aggression. But, the study authors added, a "vocal minority" has cited flaws in the research. For example, some studies have asked kids about "non-serious" issues like irritability, rather than strictly measuring overt aggression. Still others have failed to account for other factors in kids' lives that could feed aggressive behavior. So the Dartmouth researchers said they analyzed studies that measured actual physical aggression. Overall, they found, there was an association between exposure to game violence and increases in kids' aggressive behavior -- based on reports from kids themselves, or from parents or teachers. And the connection was not diminished even when studies did account for other factors in kids' lives, the researchers said. The findings were published Oct. 1 in the Proceedings of the National Academy of Sciences. According to Hull, video game mayhem might feed some kids' aggression because it "rewards" violence and hostile thoughts, while reducing empathy toward victims. Hull had this advice for parents: "Encourage [your kids] to pursue other, more productive spare-time activities." Not everyone was convinced by the study, however. Patrick Markey, a professor of psychology at Villanova University in Pennsylvania, has studied the potential link between video games and real-life violence. He said the new findings point to, at most, a minor influence of video games. "This suggests that less than 1 percent of the variance in aggression [among kids] is explained by exposure to video game violence," Markey said. "That's an itty-bitty effect." Markey also disputed the claim that most researchers agree that video game violence begets real-world violence. He pointed to a 2017 survey of psychology and media researchers that found only 15 percent believed the games contribute to serious physical aggression in kids. "The research, to me, is clear that video games don't cause serious acts of violence," Markey said. Even so, he added, parents might have other reasons they want to limit their kids' exposure to violent games. They might want to "shield them from scary things," for example, and that's their call. Christopher Ferguson is a psychology professor at Stetson University in DeLand, Fla. He led several of the studies included in the new analysis -- studies that found no evidence implicating violent video games. He, too, stressed the small effect seen in this analysis. As a predictor of kids' violent behavior, Ferguson said, exposure to video games "was almost no better than a coin toss." "I think this is actually evidence against any real effect," he said. At this point, Ferguson said, many parents probably already have an opinion on whether they want their kids playing violent video games. And this study is unlikely to change their minds, he said. "Every parent knows their kid best," Ferguson said. "They have to use their best judgment."